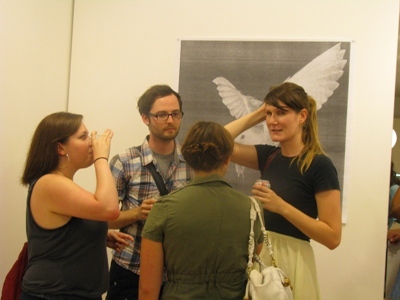 Half Gallery Opening Night: July 14th for ‘Normal Dimensions’. All images by Olivia Loving for AO unless otherwise noted. 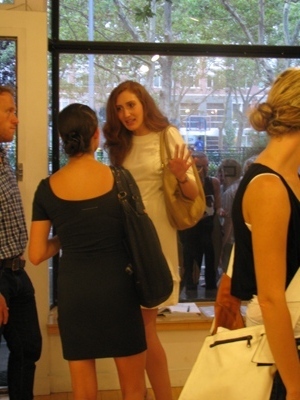 AO was on site July 14th for the opening of “Normal Dimensions,” the new exhibit at Half Gallery. The six-piece exhibit is curated by Neville Wakefield, and shows work by Carol Bove, Olympia Scarry, Xaviera Simmons and Susan Collis. All are women in roughly the same age group. The works in the exhibit largely reflect the artists’ past works, and the issues that continue to inspire them. 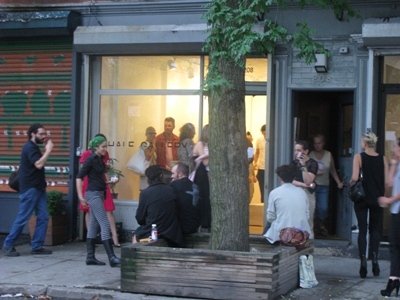 The opening was packed, and visitors spilled out onto the street, relaxing and chatting with fellow attendees. The show will be on display until August 13th, 2010. Saliva (2010) by Olympia Scarry. Olympia Scarry has an interesting personal background: Before high school, she lived in Switzerland, Italy, and France. After attending a Catholic all-girls’ school in New York City (fellow famous alumna: Lady Gaga), she went to school in Switzerland. It wasn’t until later that she developed her full time to art. Scarry often defines her work by the materials that she uses, and how these relate to our own human experiences. Art Observed was able to catch up with Scarry, who explained the motivation behind her artwork. 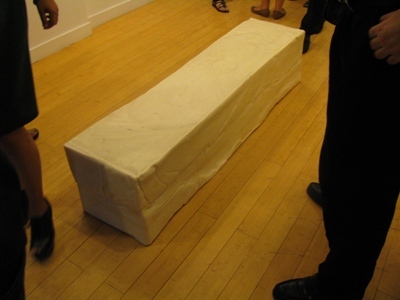 Her piece on show at ‘Normal Dimensions’ is a white block made of “basically 500 pounds of mammal fat.” The work is striking: it sits in the center of the small exhibit room at Half Gallery, and everything else seemed to revolve around it. While Scarry’s previous art is concentrated on metalworks; her new piece is the opposite–a display of fragility. 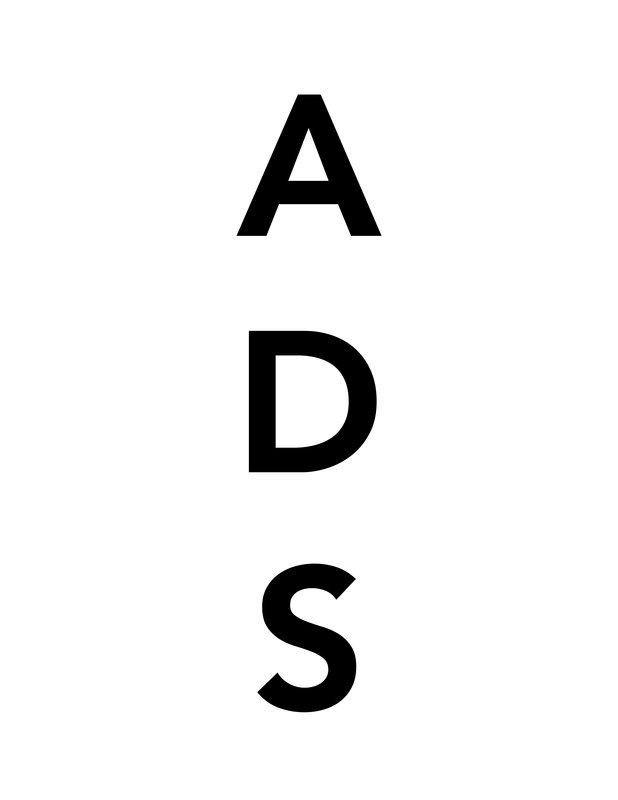 Soap is like “skin,” Scarry explained. “It has wrinkles and changes color and shrinks.” In this sense, it resembles our own fragile – and ultimately mortal — selves. Saliva (2010) by Olympia Scarry. Image via Half Gallery. Carol Bove is also from Switzerland, but lives and works here in the city. Her work is known to reflect art movements from the ‘60s and ‘70s. 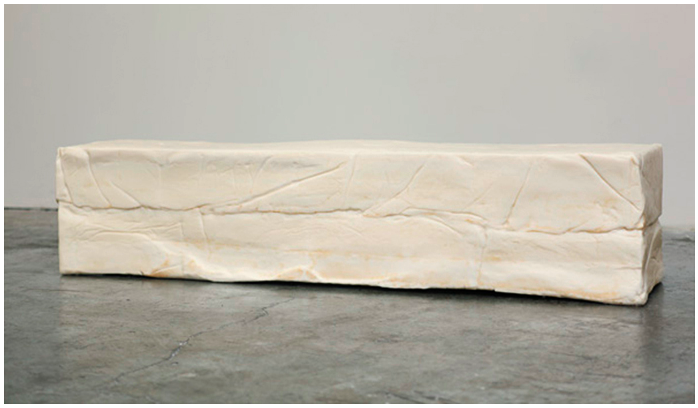 Included in the exhibition are Untitled (2009) and Woman (2010). 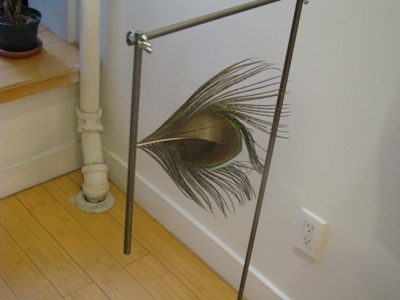 Untitled is a piece of wood hanging from a brass frame, while a feather is nailed to the wood. It is reminiscent of the Arte Povera movement, a style that began in Italy during the 1960s and was concurrent with the minimalist movement in the United States. It is a return to simple forms and natural materials, as many artists in the 1960s returned to their “roots” and a more authentic style of living. Woman is a long, vertical structure that corresponds to the form of the human body, albeit on a smaller scale. At the top balances a male peacock feather. Ironically, the feather belongs to a male peacock, which fans them out to attract attention. (The female is boring by comparison; she has brown feathers that are not used to attract a mate). The piece, then, is one of contradiction. Its form abstractly signifies a woman’s body, but the attached feather belongs to a male. Whatever the Cost, I’ll Pay in Full (2010) by Xaviera Simmons. Image via Half Gallery. We’ll be together (2009) by Susan Collis. Image via Half Gallery. 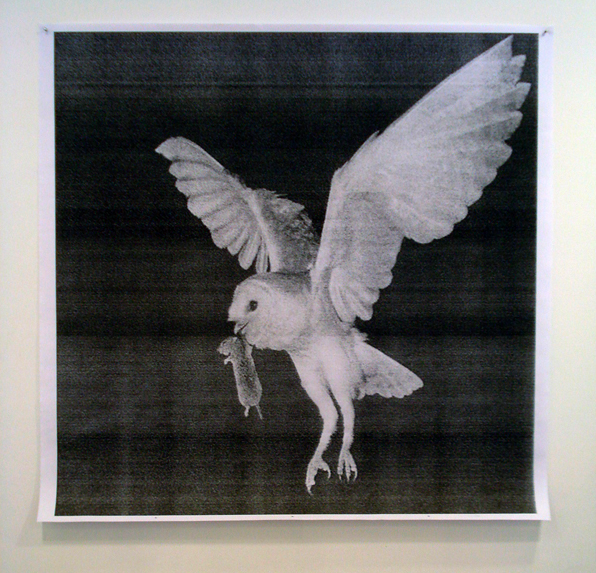 Susan Collis, Dear Ghost, 2010. Image via Half Gallery. Susan Collis’ work often remakes everyday objects using precious materials. A previous work, The Oyster’s Our World (2004) is a ladder that is comprised of precious materials: mother of pearl, cultured pearls, fresh water pearls, and diamonds. Similarly, her two works in this exhibit reflect the same idea. We’ll be Together (2009) is a set of three nails made of red carnelian, jasper, and onyx. 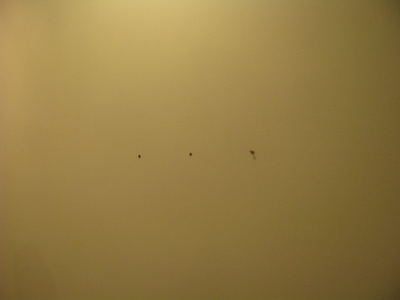 Dear Ghost (2010) is four staples on a wall, arranged so that they look as though they should be framing a photograph or a letter. Of course, the staples are not made of cheap metal, but platinum. 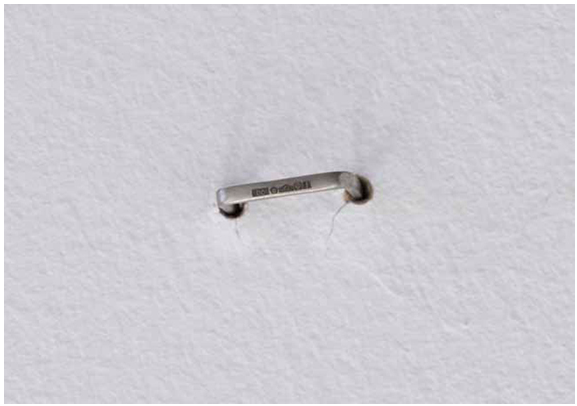 The works, then, represent the idea of “more than meets the eye.” Staples and nails exist to bind or hold something, which neither of the pieces is doing. We are left to wonder at the empty space left behind – and what should be there. AO was lucky to have a chance to take with two artists at the exhibit: Olympia Scarry and Xaviera Simmons. AO: “I know that you talk about body image pressures on women in your work. I can see how the soap in this piece represents fragility, and does that relate to the pressures in your earlier work? AO: What inspired you with the title? Xaviera: Desire inspires most of my titles. Artwork rests on many different levels of desire, for the artist as well as for the action that is happening in the piece. For me, the title matched the level of desire in the work, as well as desires that I’ve been navigating and negotiating in my own process in my studio. AO: It’s almost a violent desire. Did that play into your work at all? Xaviera: You know, this work is really, really new. I just started working with these sort of images less than a month ago. So, I’m still navigating the language myself…It’s a new body of work, so it’s all very tender, how it’s made right now. I’m taking a lot of liberties. The best thing to do is to look at the show that I did at PS 1, because for me, this new body of work is in conversation with the body of work that I have at PS 1, at Greater New York right now. AO: How have you changed since your artwork at Light Work? Xaviera: For me, I have to trick myself regularly and give myself tension. Tension! I need tension to make my work. I’m constantly navigating different moments of tension to make a new body of work….The weightless of the show – there’s something about gravity in the show, and I think the curator chose this work for its gravitational pull. AO: I like the feeling in the work. Xaviera: Oh, really? And what’s that? AO: Well, there’s freedom and weightlessness in the work at one point, but then you also have the bird catching the rodent, which isn’t exactly free. Xaviera: There’s so [much] about being seduced – the seducer, the seduced, and also liminal states, like in-between spaces…I don’t think you can really believe an artist says unless they say it a lot of times, because at any moment, their idea of what they’re making shifts. My practice is in flux, because I practice different media. This entry was posted on Thursday, July 15th, 2010 at 5:10 pm	and is filed under AO On Site. You can follow any responses to this entry through the RSS 2.0 feed. You can leave a response, or trackback from your own site.